Budget Android tablets: which one is right for you? Which of the cheaper Android devices suits your needs? Google and Asus may well seem to have sewn up the Android tablet world with the very well received Nexus 7 tablet (£160), but there are many Android tablet options out there for much less money. This is thanks to a vibrant 'white box' Chinese manufacturing scene, which sees wave after wave of super-cheap Android tablets crashing into our shops, and surprisingly, some are pretty good. While the Asus Transformer Pad Infinity costs a whopping £600, and the majority of other big-name tablets hover around the £200 to £300 mark, some of the smaller 7-inch Android tablets, even those running Ice Cream Sandwich, can be had for around £70 online or £90 on the high street. But for that kind of money, are you going to look like a bit of a mug? Of course, you don't get something for nothing, and while on paper, at least, budget Android tablets may look as powerful and potent as their big-name, large-price-tagged brothers, there can often be glaring omissions. One of the first potential pitfalls to beware of is Google Play - the Android app store, which also peddles movie rentals, music downloads and ebooks. Google Play is often unavailable on bargain-basement tablets, which means that you're limited to a handful of badly made, unsupported titles. The second common trap is the questionable quality of the components that make up your low-priced tablet. The gumph may about boast a high-resolution screen, but this is a common shortcut, which can undermine the whole experience, and really expose your frugal tendencies. If you're looking for a cut-price Android tablet, read our essential guide to avoiding possible pitfalls and saving money on buying the right device for you. Even the cheapest of the generic Chinese Android tablets tend to feature capacitive displays these days, which are a vast step up in quality compared with the older resistive models that we used to see only a couple of years or so ago. Capacitive technology means that the displays are more sensitive to the touch, making the experience of using even the cheapest of tablets, such as the budget Kogan Agora (£119), much more satisfying than trying to poke the wobbly, plasticky resistive screens of previous generations of technology. However, as nice as the newer, cheaper displays might be to touch, you also want to examine the resolution they offer. A 7-inch screen outputting at just 800 x 480 isn't going to look very clear or sharp, because that screen resolution is already a little out of date, even on the smaller screens of Android smartphones nowadays. 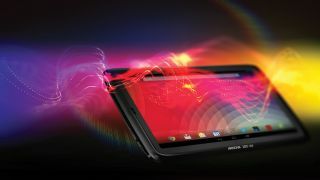 A decent budget option, however, such as the Archos 70 (available for about £170), offers a 7-inch display running at a more respectable 1,024 x 768, which will make everything from web text to apps appear much clearer than something that's expanding a lower resolution image to fill a 7-inch screen. Another legacy Android issue that still affects some of the cheaper tablets these days is access to the Google Play Store. Some models from lesser known brands, such as the ViewSonic ViewPad 10e (available for about £140) don't have the certification to offer access to Google's official app store on board, although most of today's newer budget models now do. Again, official Google Play access is something to add to your pre-purchase checklist, because you really don't want to be stuck using a terrible, unofficial Chinese app store to access all your apps and games. This new wave of cheap Chinese tablet tends to run on versions of the All Winner chipset, coupled with a Mali 400MHz GPU. It works well enough for most apps and general use, but the key thing you want to be looking out for is the amount of system RAM alongside it in the tablet.